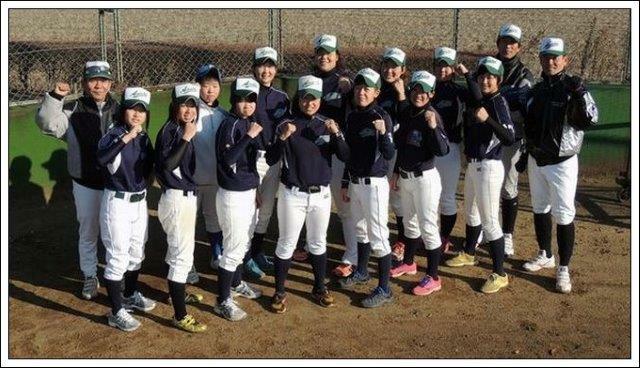 At the invitation of Women’s Baseball Association Korea (WBAK), its Japanese counterpart, Women’s Baseball Federation of Japan, is sending Team “Asahi Trust” to Korea to play two exhibition games against Korea’s All Star Team. The event is a part of 2014 LG Cup Korea Women’s Baseball Tournament, organized by WBAK, Iksan City and LG Electronics and will serve as a forerunner to 2016 Womens Baseball World Cup in Gijang County in Busan Metropolitan City, Korea. Team Asahi Trust, owned by Asahi Sangyo Co., Ltd, started in 2007 as the very first corporate team of women’s baseball and won club championship 3 times in 2009, 2010 and 2013 although they finished runners-up in 2014. Head coach Isamu Kida played professionally with Hokkaido Nippon Ham Fighters as a pitcher and was awarded MVP and Rookie of the Year in 1980. Captain Akiko Shimura, outfielder, played National Team and contributed its winning of Gold Medal for 4 times in the past.